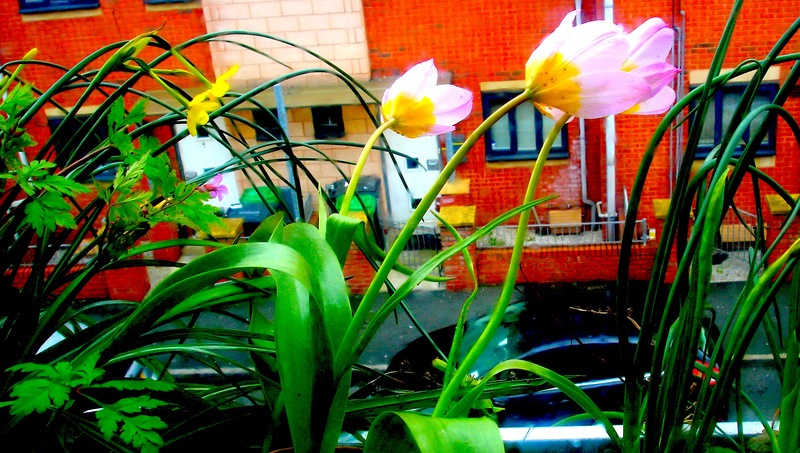 In the autumn, last year, I’d introduced a number of spring flowering bulbs to the balcony to help provide nectar and pollen for insects emerging from their long winter slumbers. 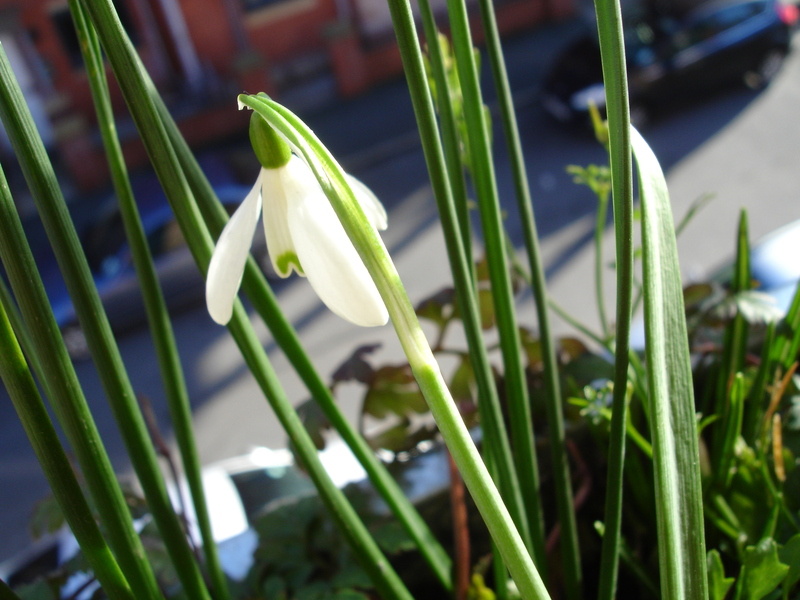 In February the Snowdrops I’d planted were the first flowers to bloom , quickly followed by the crocuses, and were a very welcome reminder of the imminent end of winter and the first tentative stirrings of spring. In March, after what had felt like an endless winter, spring appeared to have well and truly arrived with unseasonally high temperatures (sometimes reaching into the mid 20s) towards the end of that particular month. 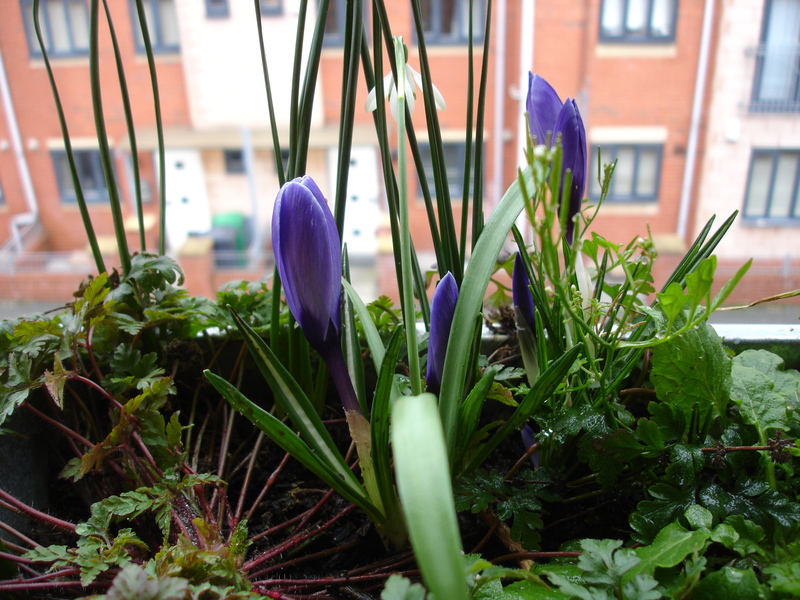 Alas, it was too good to last and the balmy temperatures plummeted as we entered April! At least the unusually warm weather in March helped to kick-start wildlife activity on the balcony, though, with the sudden appearance of large numbers of sap-sucking aphids. 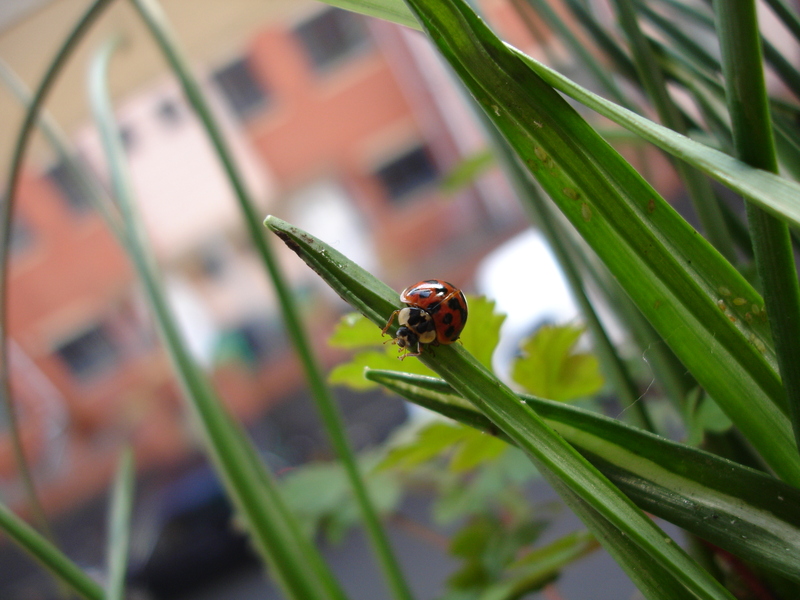 True to form, the boom in aphid numbers on the balcony was quickly followed by a corresponding emergence of their predators, harlequin ladybirds. The exceptionally warm weather during March encouraged a boom in the population of aphids, as can be seen to the right of this picture, sucking sap from the crocus leaves. When left to its own devices nature eventually establishes its own "checks and balances" as the explosion of aphids soon encouraged the emergence of their predators in the form of harlequin ladybirds. This is why I never use insecticides as they merely help to destroy the very predators which most gardeners want to encourage and disrupts nature's natural balance. From late march and continuing through to late April, the tulips and miniature daffodils I'd planted were in full flower , helping to boost the supply of nectar to any visiting bees. Alas, the bees so far have been conspicuous by their scarcity(compared to last year) and a sign , I fear , of their declining numbers, both nationally and internationally. Yet another very good reason to avoid using pesticides given that there is now emerging evidence that they have played a significant role in the demise of our essential bees.